Max Born (born in Breslau, German Empire, died in Göttingen, West Germany) was a famous Mathematician from Germany, who lived between December 11, 1882 and January 5, 1970. He became 87 years old. Max Born (born 11 December 1882 in Breslau, died January 5, 1970 in Göttingen) was a German mathematician and physicist. He received the Nobel Prize in Physics in 1954. Max Born studied mathematics under David Hilbert and his doctorate in 1906 in Göttingen. He became extraordinary professor of theoretical physics in Berlin, where he collaborated with Max Planck, Albert Einstein and Walther Nernst. From 1921 to 1933 he was professor at Göttingen. Here he developed together with Wolfgang Pauli, Werner Heisenberg and Pascual Jordan much of the modern quantum mechanics. The most important results belong the so-called Born-Oppenheimer approximation, which in 1928 led to orbitalmodellen. 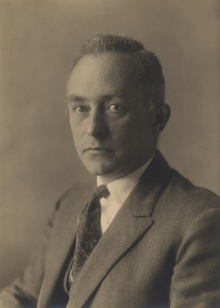 In 1933, Max Born, because of his and his wife's partially Jewish ancestry deprived of his professorship and emigrated to Edinburgh where he worked as a professor, until he in 1954, the same year he received the Nobel Prize, returned to their home country where he worked until his died. Besides his scientific work occupied himself with philosophical and political themes. He argued, among other things against nuclear armament. Thurs Gymnasiums are named after him, in Germering at Munich and in Backnang at Stuttgart. The same Max-Born-Institut in Berlin. His granddaughter is singer Olivia Newton-John. He is born under the zodiac sagittarius, who is known for Philosophical, Motion, Experimentation, Optimism. Our collection contains 6 quotes who is written / told by Max. "There are two objectionable types of believers: those who believe the incredible and those who believe that 'belief' must be discarded and replaced by 'the scientific method"
"Intellect distinguishes between the possible and the impossible; reason distinguishes between the sensible and the senseless. Even the possible can be senseless"
"I am now convinced that theoretical physics is actually philosophy"
"The belief that there is only one truth, and that oneself is in possession of it, is the root of all evil in the world"
"And the continuity of our science has not been affected by all these turbulent happenings, as the older theories have always been included as limiting cases in the new ones"
"If God has made the world a perfect mechanism, He has at least conceded so much to our imperfect intellect that in order to predict little parts of it, we need not solve innumerable differential equations, but can use dice with fair success"